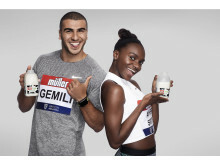 Müller has branding and activation rights for seven major athletics events in 2018 and 2019 and is working closely with brand ambassadors, which include, Adam Gemili and Dina Asher-Smith, on activity that brings inspiration to the dairy aisle. The farmers will spend time with athletes who will pass on their knowledge and experience of learning from setbacks, single-mindedness, resilience and desire to succeed. Müller Direct Next Generation is a fully sponsored programme designed to develop and enhance the skills of the next generation of Müller Direct farmers in Britain. The programme comprises a series of two day workshops held in different locations around the country and is aimed at individuals within dairy farming who are driven to progress and focus on their own professional development. The first cohort comprises dairy farmers from as far afield as North Lanarkshire to Pembrokeshire to Dorset. Workshops include establishing business principles, leadership, managing people and potential, negotiating and managing succession. “We believe that our Müller Direct Next Generation group has the potential to be Britain’s elite dairy farmers in the future so we feel that there is a real benefit in offering them the opportunity to meet and learn from today’s elite athletes. “Equally we know that our Müller ambassador athletes have a real interest in understanding where their food comes from and how the Müller dairy products which they enjoy are made. It’s a great opportunity to have a meeting of the minds. 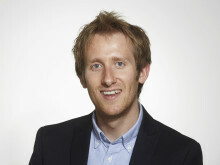 “I am excited to have been selected to take part in the Müller Next Generation programme. It will allow me to develop new skills and give me the confidence to utilise them within my family farming business. The first Müller Direct Next Generation workshop takes place in June 2018. 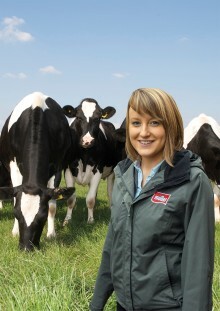 ​Müller announces initiative to help ambitious young farmers build vibrant dairy businesses for the future. Britain’s largest producer of branded and private label fresh milk, butter, yogurt, desserts and dairy ingredients products has launched Müller Farm Insight, an exclusive new service for Müller Direct farmers. 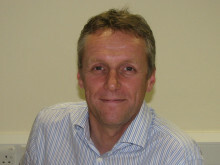 Britain’s largest producer of branded and private label fresh milk, butter, yogurt, desserts and dairy ingredients products has unveiled a series of measures to help supplying farmers build vibrant dairy businesses for the future. Müller Direct farmers who commit to initiatives designed to continually improve herd health and welfare standards, are to be offered an additional payment worth 0.5 pence per litre.